Roll Holder fits our massage tables. Availability: Shipped today or next business day. 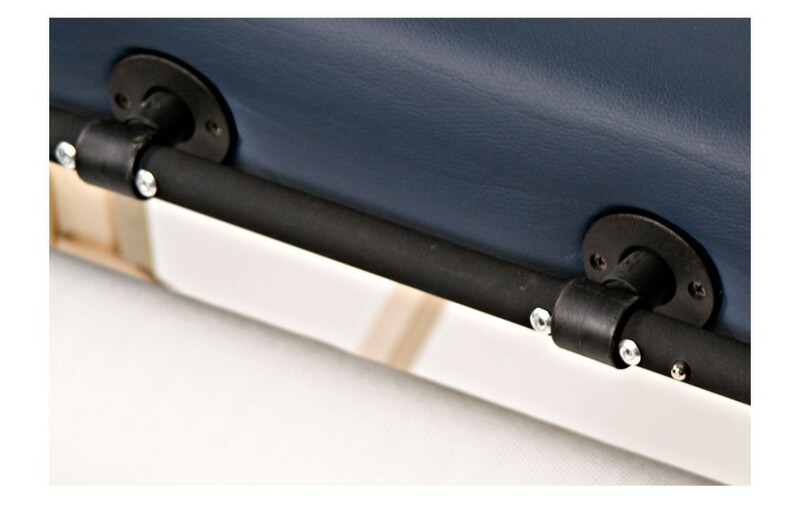 The lightweight black Roll Holder fits easily and unobtrusively into both headrest/accessory outlets on your massage table. Most of our massage tables have headrest/accessory outlets at both ends, allowing for easy installment of the roll holder at the foot end of the table while the headrest is on the other side. The distance between the centers of the Paper Roll Holder poles is 8" with a pole diameter of ¾" which means the Roll Holder fits all of our massage tables. Most, but not all, of our massage tables have headrest/accessory outlets on both ends. If you plan on using a headrest on your massage table, please confirm your massage table has two outlets before purchasing the Paper Roll Holder. We usually ship your order on the same day or the day after your payment is processed. You can expect to receive your item(s) in 1 to 5 business days, depending on your location. S&H costs are subject to change. Customers are also welcome to use their own shipping carrier. Please contact our customer service team to make arrangements prior to placing an order. One Year warranty against Defects. Should you have any questions, please feel free to contact a customer service representative. At BestMassage.com, we proudly stand behind all our massage products and keep our promises to valued customers like you. We truly appreciate your business with us. Thus, we assure you of a 100% satisfaction on all our massage products and services. We know that sometimes, an item might not suit the exact need it was purchased for. That's why, standard with every purchase, we provide a 30-day Money Back Guarantee. With each item you buy from us, we give you 30 days after you receive it to try it and ensure that you are satisfied. In the unlikely event that you receive your purchase and it is not what you expected, simply send it back to us and we will immediately refund you the purchase price of the item. Please note that the shipping and handling charges will not be refunded unless the item is defective. You can easily return the merchandise for any reasons hassle-free although we may ask how we can improve our service to meet your satisfaction. All returned products must be received within 30 days after the date of purchase. The returned merchandise is refundable only if undamaged, in new or nearly-new condition, and in its original packaging. For disposable items such as oils, lotions, and creams, the refund will be given only if they are unopened or due to manufacturer's defect. For all sheets, sheet sets and face pillow covers, the refund will only be given if the sheets are not washed. We reserve the right to refuse returns on items that have been clearly damaged or used extensively by customers. The customer is responsible for any return shipping costs unless the purchased item is defective. If all the above requirements are met, you will receive a refund in full for the purchase price minus any shipping, handling, or postal insurance costs. No re-stocking fee will be charged if returned within a 30-day period. Example 1: The returned merchandise is refundable only if undamaged, in new or nearly-new condition, and in its original packaging. All returned products must be returned within 30 days after the date on which they are received. The shipping and handling charges will not be refunded unless the items are defective. We reserve the right to refuse returns on items that have been clearly damaged or used extensively. Example 2: The returned merchandise is refundable only if unopened. All returned products must be returned within 30 days after the date on which they are received. The shipping and handling charges will not be refunded unless the items are defective. Example 3: The returned merchandise is refundable only if unused. All returned products must be returned within 30 days after the date on which they are received. The shipping and handling charges will not be refunded unless the items are defective. We assure you of the very best prices in the nation for these products. Therefore, should you find a better price elsewhere within 14 days of the purchase for any items you have ordered from BestMassage.com, simply inform us and we will gladly refund the difference to you. The product for which you find a better price must be identical in every manner, including, but not limited to, model, color, brand, quantity and condition, as the item you have purchased from BestMassage.com. The claim must be made no later than 14 days after the date of your order from BestMassage.com. A publicly documented verification of the lower priced item must be submitted to us along with your proof of purchase from BestMassge.com. This guarantee does not apply to price reductions on our website that start after your purchase, A/B Quality or any used products, auction websites, or websites that serve customers in other countries. If all the above requirements are met, you will receive a refund for the difference. Should you have any questions, please feel free to contact a customer service representative. We will be glad to speak with you and answer all your questions. Q1. Do they ship for free? Answer: No, please use information from our shipping info page. Q2. Does the paper roll holder work with all tables? Answer 1: It works with most massage tables. The table has to have accessory outlets that are 3/4 wide with 8"" between the holes (measured from the center of each hole). Most BodyChoice tables have outlets on both ends of the table so you can use a headrest at the same time as this accessory. 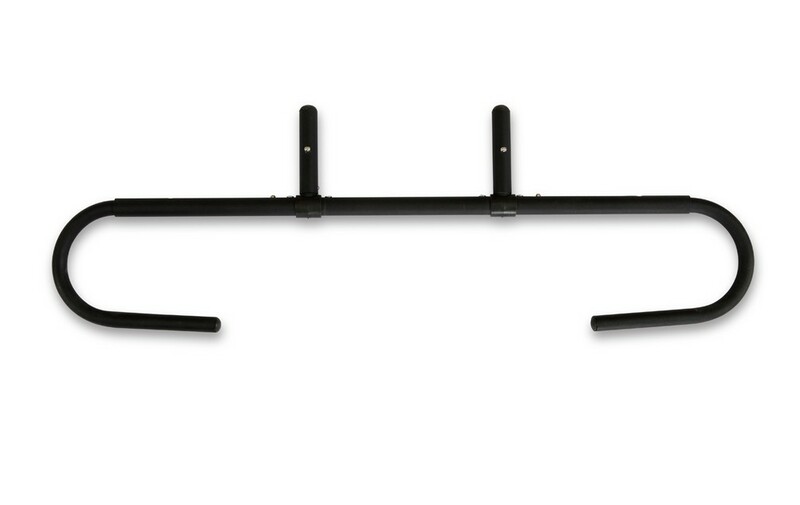 Some models such as the Eco-Basic BodyChoice do not have an extra set of outlets for accessories. If you have any questions, please do not hesitate to contact us. For our phone number or other information, please see our contact page.